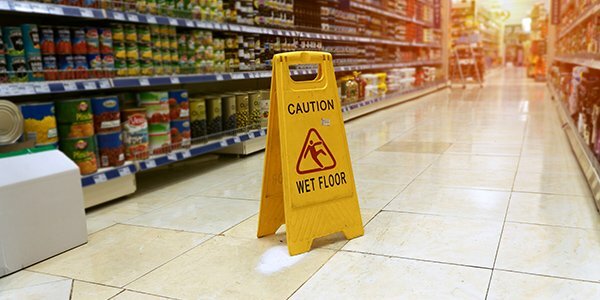 When a person suffers from an injury, or dies, due to an infection contracted at a hospital, liability will not always be as cut and dry as one might expect. In fact, in many cases, infections are found to be no one's fault, and a victim may be left without any legal recourse. However, oftentimes, infections occur due to a failure to follow proper medical procedures to prevent infections. Infection cases follow the same basic principles as medical malpractice cases. When a preventable infection occurs at a hospital, the medical staff and the hospital can potentially be held liable. Here are three common types of infection that happen at hospitals, as well as information about when to contact an attorney and file a lawsuit. A rather common type of infection is known as a surgical site infection (SSI). As the name implies, these infections occur after a surgical procedure, and involve an infection near or around where a person was cut open for surgery. The infection can be related to unsanitary conditions during the actual procedure, or afterwards during wound care. Medical device related infections are incredibly common. Common device related infections occur when patients are catheterized, put on respirators or ventilators, or if they have an IV, or any other device inserted into their body. If these devices are not kept clean, serious, and even fatal, infections can result. Sometimes just breathing in a virus will result in an infection. Unfortunately, because hospitals always have sick people coming and going, simply walking into a hospital can expose a person to potential airborne illnesses and infections. However, as one report explains, the danger to visitors, or routine doctor visits, is negligible compared to admitted patients. These cases can be tricky to prove as an individual is usually left guessing how and when the infection actually occurred. It could have happened during a surgery, or at some point after while caring for a surgical wound. If an individual has been released from the hospital, it may be even more difficult to figure out if the infection started while admitted, or after release. Whether or not an infection rises to the level of medical malpractice will depend on the circumstances surrounding how the infection occurred. Medical malpractice cases are difficult, have strict deadlines, and are legally complex. If hospital staff were responsible for cleaning, or maintaining, a wound, or medical device, and an infection occurs at that site, it may be a good idea to contact an experienced medical malpractice attorney to discuss whether you have a case. Even if the infection does not present until after you have been discharged, or you were responsible for your own wound care, you may still want to talk to a medical malpractice attorney to see if your infection may have been the result of malpractice or hospital negligence.